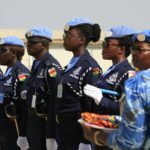 The US has announced it is ready to support Ghana to deal with the issue of political vigilantism – a growing threat to peace and security in the country. The Conversation Africa’s Moina Spooner spoke to Justice Tankebe about the phenomenon and what can be done to address it. 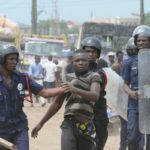 What’s meant by political vigilantism and how long has it been an issue in Ghana? Vigilantism is when people “take the law into their own hands” in order to protect or advance their interests. In this way, all vigilantism is political because it always involves the use of (illegal) power against others who are perceived to be a threat to those interests. However, when we speak of “political vigilantism” we mean specifically the use of vigilantes in the name of partisan politics. 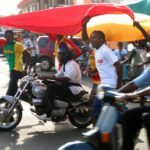 In Ghana, political parties – whether in government or the opposition – are known to form and use vigilante groups who then act on their behalf. This has been highlighted in various reports, such as one put together by the Institute for Security Studies as well as academic research papers. These vigilante groups are often violent, target opposition groups and public officials, and seize property or assets. But vigilantes aren’t just thugs who operate at the street level. Based on my research of over ten years into vigilantism in Ghana, I have started to focus on what I call “vigilantes-in-suits”. I use the term to refer to people in positions of authority – for example, policy makers, lawmakers and various political appointees – who will pursue their party’s interests by any means. Political vigilantism isn’t a new feature of Ghanaian politics. Some researchers say that it has its roots in the country’s independence movement from British colonial rule. The Convention People’s Party, led by Kwame Nkrumah – Ghana’s independence leader and first president – and the National Liberation Movement were engaged in fierce political struggles over whether Ghana should be a federal or unitary state. The struggle involved violent vigilante activity by elements on both sides. 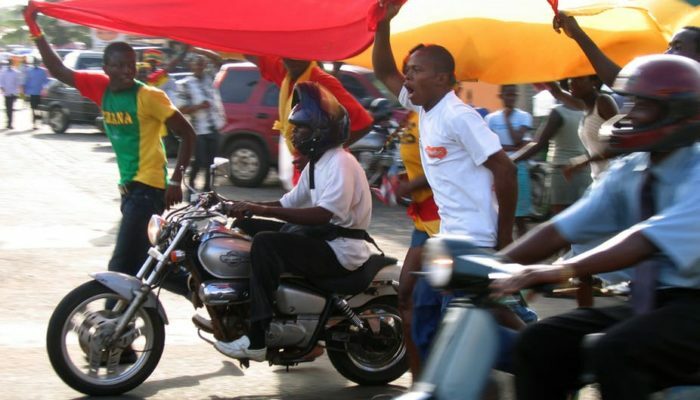 Today, Ghana’s two main political parties – the National Democratic Congress and the New Patriotic Party – have vigilante groups who wear T-shirts branded with their group’s logo. These include the “Azorka Boys” and the “Hawks” for the National Democratic Congress and the “Invincible Forces” and “Delta Forces” for the New Patriotic Party. Political vigilantism often involves violence, both physical and psychological. Vigilantes engage in riots, violent protests and property destruction. They’re also known to target elections, intimidating voters or mountingroadblocks to prevent “outsiders” from observing polls. Vigilantes have also been known to harass, threaten, assault, and assassinate opponents. Ghana’s two main political parties recruit, train and fund vigilantes. These are young people who feel that the state doesn’t represent their interests. They also feel powerless because they don’t have many opportunities to improve their situation or are poor. 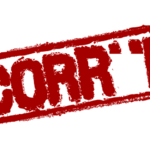 These frustrations make them vulnerable to indoctrination by older generations – largely politicians – who give the young recruits ideological direction and justification for their actions. Vigilantism has also flourished because of a lack of deterrence. Criminal justice agencies – particularly the police – are highly ineffective against vigilantes. Based on the insights I’ve gained from my research, I believe this is because of significant partisan interference in police work which has left them powerless. They either don’t make arrests or, if arrests are made, suspects are released because a politician intervened through the back door. What can be done to put a stop to it? Tackling political vigilantism won’t be easy because young people may feel that being a member of a vigilante group defines and gives meaning to their life. It might give them power, esteem, prestige and a sense of belonging. It, therefore, won’t be enough to just disband the groups and give them moral lessons on the perils of vigilantism. They must be given enough support to find alternative livelihoods. Ghana could draw lessons from Sierra Leone who successfully demobilised and re-settled ex-combatants after conflict. Longer-term strategies must address the issues of unemployment and Ghana’s deeply unequal society. Unless government policies create a more equal society, for example, through better employment opportunities for young people, vigilantism will remain a stable feature of Ghanaian politics. Tackling inequality also means more decisive action against corruption, which is widespread and vicious. Corruption allows the rich to get richer and prevents people from being held accountable for their actions. This creates conditions for vigilante activity. Lastly, the police service must be independent, well-resourced and insulated from partisan politics. To do this, there must be an overhaul. The police service must be decentralised to improve community-police relations and the current political appointment of police chiefs should be replaced by a competitive recruitment process. A new governance structure made up of people with expertise in police work, like academics and practitioners, should be created to oversee police work. Why Do Young Ghanaian Adults Engage in Corruption?